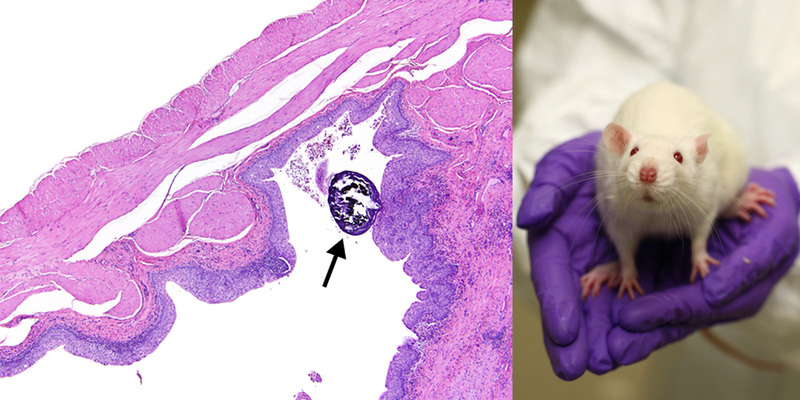 A Monsanto GM insecticidal maize that has been approved for food and feed use in Europe for seven years was found to cause kidney disease and bladder stones in rats in industry’s own tests. Before the maize was approved, several European Union member states raised concerns about these results and the implications for food safety. But the European Food Safety Authority (EFSA) dismissed the concerns and gave a favourable opinion on the GMO maize. With the usual lack of agreement from EU member states on whether to authorize the maize, the Commission approved it in 2011. The California-based pediatrician Michelle Perro, MD has spent the past 20 years of her 37-year career treating children with complex health problems – and has earned a reputation for some remarkable successes. Together with medical anthropologist Vincanne Adams, PhD, she has written a book, What’s Making Our Children Sick? How Industrial Food Is Causing an Epidemic of Chronic Illness, and What Parents (and Doctors) Can Do About It. The book identifies industrially produced food – including GM foods and their associated pesticides – as a major culprit in the current health crisis. It also recommends measures we can all take to restore our health and well-being. GMOScience has published interviews with Dr Perro and Prof Adams. Lawyer Mike Papantonio and author Carey Gillam of US Right to Know discuss her new book, Whitewash: The Story of a Weed Killer, Cancer, and the Corruption of Science, which reveals how Monsanto viciously worked to cover up the fact that its weedkiller could cause cancer. This is a readable overview of the most outrageous sins against science that Monsanto has committed in order to keep glyphosate on the market. The herbicide formulation Roundup has been found in a study to damage the ovaries of the crab N. granulata at a concentration that can be found in the environment. Glyphosate, the main ingredient of Roundup, had the same effect, but at a higher concentration. The results suggest the existence of synergic effects between pure glyphosate and the adjuvants (additives) in the commercial formulation Roundup. The Advocate General of the EU Court of Justice has publicly declared his position on whether new methods of genetic engineering, known as gene editing, should come under EU GMO regulation. In his statement he did not address these new techniques, their applications and risks in detail. 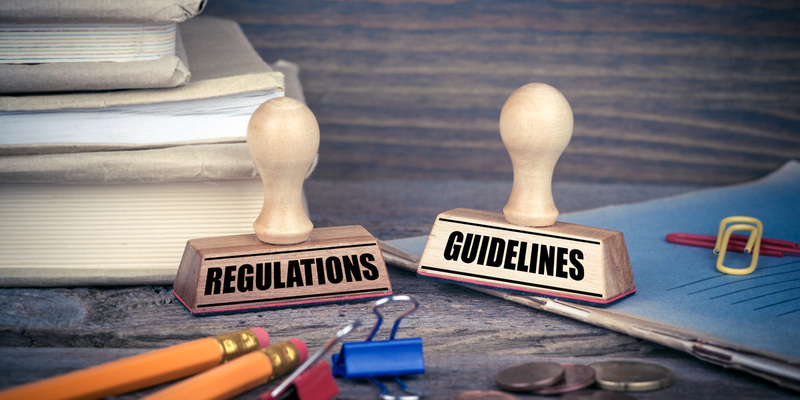 Instead, his reasoning is largely based on general, and in some cases, outdated categories, which is likely to lead to considerable legal uncertainty, explains Testbiotech. Initially, the CRISPR-Cas9 genome editing system seemed to be extremely accurate. However, it is now apparent that this method sometimes also cuts other DNA sequences similar to the sequences it was programmed to target. Scientists at Delft University of Technology have developed a mathematical model that explains why. The European Parliament has backed the creation of a special committee to find out whether Monsanto, the multinational producing glyphosate, an active ingredient in broadly used pesticides, tried to influence independent scientific research and therefore EU legislation. The committee will also analyse the system by which pesticides are approved into the European market. The French agricultural sector must fight “three great battles” in order to achieve sovereignty, according to President Emmanuel Macron. One of them is to reduce dependence on imported GMO soybeans in the livestock sector, he said. France has announced that at least half of all food bought by the public sector must be organic or locally produced. The French government will force an uptake of local and organic food by 2022. Angela Merkel's conservatives have made a deal with the Social Democrats for a new coalition contract in Germany. The pesticide glyphosate will be banned, along with the cultivation of GM crops. Monsanto has two months to present a defence of its patent on GM soybeans in Brazil, a lawyer for the company said after authorities suggested the US seed company’s intellectual property rights should be revoked. 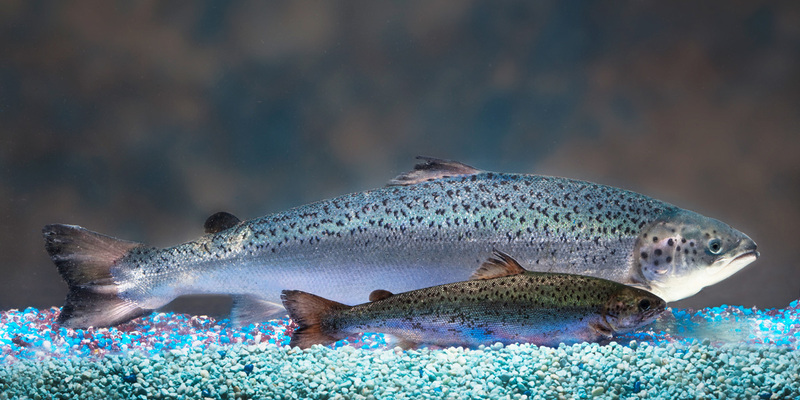 The Ninth Circuit Court of Appeals has denied the Food and Drug Administration's (FDA) attempt to hide thousands of pages of key government documents revealing how the agency arrived at its controversial approval of the first-ever GM animal for human consumption, a GM salmon. The court order rejected the Trump Administration’s position that it can unilaterally decide which documents to provide and which to withhold from public and court review. Researchers from the University of Minnesota have applied transgenesis and gene editing to generate glyphosate tolerance in cassava. For all the hype about gene editing providing humankind with more nutritious, disease-resistant, and high-yielding crops, we can see what it's actually being used for: to develop yet another herbicide-tolerant crop. Monsanto faces a treble damages class action alleging that its pesticide dicamba poses such a risk to farmers they are forced to purchase GM dicamba-tolerant seed – marketed under patent at high prices by Monsanto – to avoid catastrophic damage to their crops from pesticide drift. Newly released data show a dramatic increase in pesticide use on Vermont’s dairy farms, particularly when it comes to managing GMO cornfields. In 2016, Vermont’s GMO corn crops received a 194,631 pound bathing of pesticides, a toxic stew that included 34 different products, everything from atrazine to 2,4-D. This was up from the 142,604 pounds used in 2014, a 27 percent increase in the three years. The most heavily used cornfield pesticide in 2016 was glyphosate, with 62,458 pounds used, more than doubling the 27,440 pounds used in 2014. Vesterbrook Farm, which supplies a 150-member Community Supported Agriculture scheme near St Louis, has suffered huge losses of vegetable and fruits from herbicide drift from a neighbour’s soybean field. The US EPA has agreed to settle claims against a multinational GMO corn grower that exposed dozens of workers on Kauai to a dangerous pesticide in two separate incidents. The GMO company Syngenta will pay $150,000 instead of the $4.8 million that had been sought for exposing Kauai workers to pesticides. GM “male-sterile” mosquitoes are due to be released in Burkina Faso this year by the Target Malaria research consortium. However, Target Malaria acknowledges that there are no benefits to the proposed GM mosquito release. Some Chinese buyers have cancelled corn purchases from the United States and started to buy corn from rival supplier Ukraine. “Traders this year have been more inclined to buy corn from Ukraine as it is non-GMO and doesn’t require the (processing) permit,” said Cherry Zhang, analyst with Shanghai JC Intelligence. Robert Schooler is a former Cornell University student who rebelled against the pro-GMO propaganda foisted upon his fellow students by the Gates-funded Alliance for Science, which is based at Cornell. Now he is making a documentary – but he needs funding. Donate here. The Australian government is proposing changes to the Gene Technology Regulations which would make Australia the first country in the world to deregulate a range of new GM techniques in animals, plants and microbes. Take action: Write an email to the OGTR opposing these proposed changes. You can participate in this action whichever country you live in. Points are provided to base your email on. An entire industry called “product defence", created years ago by the tobacco industry, uses falsehoods and misdirection to protect pharmaceutical, chemical and GMO companies from bad media and regulatory scrutiny. The German toxicologist Helmut Greim has a history of defending the indefensible on behalf of industry. 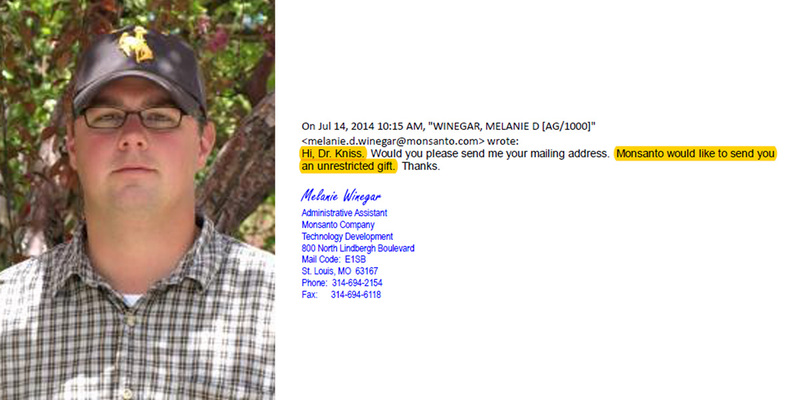 He is a former consultant to Monsanto. In 2015 he co-published a scientific review with Monsanto employee David Saltmiras which concluded that Monsanto's weedkiller glyphosate is non-carcinogenic. Now he is embroiled in a new row over “rigged” diesel toxicity tests on monkeys. An excellent report has been published by the Minority of the Committee on Science, Space, and Technology of the US House of Representatives. The report was written to educate the members of the Committee about the machinations of Monsanto and Committee chairman Lamar Smith, which are aimed at smearing and defunding IARC. The report describes the tactics Monsanto has used to control the public debate about glyphosate as well as the scientific studies that have been conducted to assess its potential harm. IARC is firmly defending its finding that glyphosate herbicide is “probably carcinogenic". IARC's unwavering stance was publicly revealed by Oregon Representative Suzanne Bonamici, the top Democrat on the US House of Representatives Committee on Science, Space, and Technology. The US House of Representatives Committee on Science, Space, and Technology hearing on IARC was ironically titled “In Defense of Scientific Integrity: Examining the IARC Monograph Programme and Glyphosate Review”, but it should probably have been named “Monsanto’s Daily Glyphosate Talking Points", says law firm Baum Hedlund Aristei Goldman. The hearing started by reiterating the same false assertions that Reuters reporter Kate Kelland published on behalf of Monsanto, at the company's urging. The law firm Baum Hedlund says that the real defence of scientific integrity needs to be exposure of Monsanto’s and the chemical industry’s effort to silence one of the few really independent scientific bodies to evaluate carcinogenicity. A new peer-reviewed article says IARC's independent cancer assessments are threatened by people with economic interests who want to undermine its financial support. Republicans on the US House of Representatives Committee on Science, Space, and Technology are accusing Linda Birnbaum, director of the National Institute of Environmental Health Sciences, of lobbying, after she wrote a scientific article about gaps in the regulation of toxic chemicals. The food industry lobby is collapsing, is its “science” institute ILSI next? Eleven out of 12 EU pesticide and GMO risk assessment methods studied were developed or promoted by industry, a new report from Pesticide Action Network shows. The report says that harmful effects observed in animal safety studies on pesticides can be swept under the carpet by using these methods. Andrew Kniss is professor of weed biology and ecology at the University of Wyoming. He regularly appears in media outlets defending GM crops and pesticides, where he is described by his public affiliation. However, the media outlets that have uncritically quoted his views have not disclosed that he has personally been offered an “unrestricted gift” by Monsanto. “The campaign for organic food is a deceitful, expensive scam,” according to a Newsweek article authored by Dr Henry I. Miller of the Hoover Institution. But Miller was caught publishing an article ghostwritten by Monsanto under his own name in Forbes. The article, which largely mirrored a draft provided to him by Monsanto, attacked the scientists of the World Health Organization’s cancer agency IARC over its decision to list Monsanto’s weedkiller glyphosate as a probable human carcinogen. Facts don’t matter in commentaries printed by Newsweek so long as the writer “seems genuine”. That’s the takeaway from a troubling email exchange with Newsweek Opinion Editor Nicholas Wapshott in response to concerns and questions that Stacy Malkan of US Right to Know raised about Henry Miller's commentary attacking the organic industry. Tamar Haspel is a freelance writer best known for her Washington Post columns, where she advocates for GMO agriculture, and for her conflicts of interest in receiving speaking fees from GMO interests. Richard John Roberts is a prominent biochemist and molecular biologist. On his recent visits to India, he has talked about the supposed virtues of GM food and crops, while attacking people who have valid concerns about the technology. But Roberts’s approach is reductionist and his attitude to the politics of GM is one-dimensional, writes Colin Todhunter. The London Evening Standard’s lucrative deal with chemical giant Syngenta shows how commercial giants pay for news – with readers left in the dark. The Standard's articles on the future of food helped to varnish the reputation of Syngenta, one of the world’s largest agribusiness companies. But readers were unaware that the firm was paying for positive coverage.